Guglielmo Trentin is senior researcher and project manager at the Institute for Educational Technology (ITD) of the Italian National Research Council (CNR). His studies have largely focused on the use of ICT in formal and informal learning. In this field he has managed several projects and scientific activities, developing technological applications and methodological approaches to support networked learning and knowledge sharing. He teaches Network Technology and Knowledge Flow at the University of Turin. 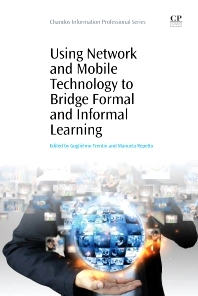 He has published extensively on technology enhanced formal and informal learning. Manuela Repetto is researcher at the Institute for Educational Technology (ITD) of the Italian National Research Council (CNR). She earned her master degree in Adult Education at the University of Genoa and her Doctorate in Education and Cognition at the University of Venice. Her research interests include the definition of models and methods for studying virtual learning communities, and the use of web-based approaches to innovate learning and professional practices.